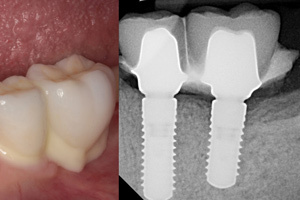 Allows retrievability of cemented implant restorations. Increased radio-opacity allows for pinpoint accuracy of excess sub-gingival cement. Resins are non-acidic and kind to tissue. Non-irritating and less patient discomfort. Promotes good oral health and faster healing. #18 / #19 Posterior Restoration using ZERO-G.
ZERO-G™ is a dual-cure implant cement and is recommended for intermediate to long-term cementation of implant-retained restorations. During recall the restoration can be easily removed. ZERO-G™ provides excellent radio-opacity for good visualization after cementation to document complete clean-up, as well as diagnostic examination upon follow-up. 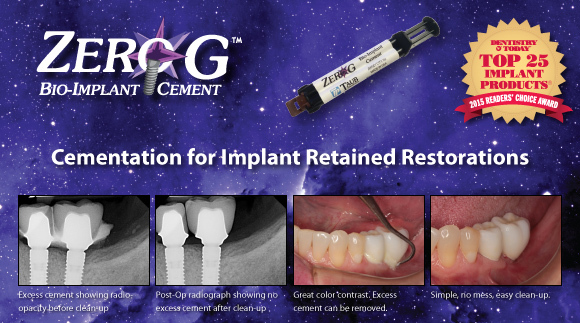 ZERO-G™ implant cement is retentive, and easily allows removal of excess cement, where it may occur. Unique color has great contrast to gingival tissue, creating easy visualization. Simple, easy clean-up. 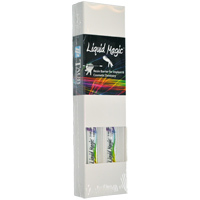 Light-cure: 20 seconds - allows complete margin curing. Self-cure: Working time: 1 min 45 sec. Set time: 2 min 30 sec. This cement can also be used for traditional crown and bridge restorations when following pocelain or Zirconia bonding procedures.